The 141 series consists of timeless and simple sofa components that can be combined in a versatile way and fit seamlessly into various environments thanks the countless combination possibilities. Design your sofa just the way you want it thanks to the freely combinable modules from the 141 sofa series. The modular sofa is available with a corner unit for the right or left side of the sofa as well as with conical feet made of oak. 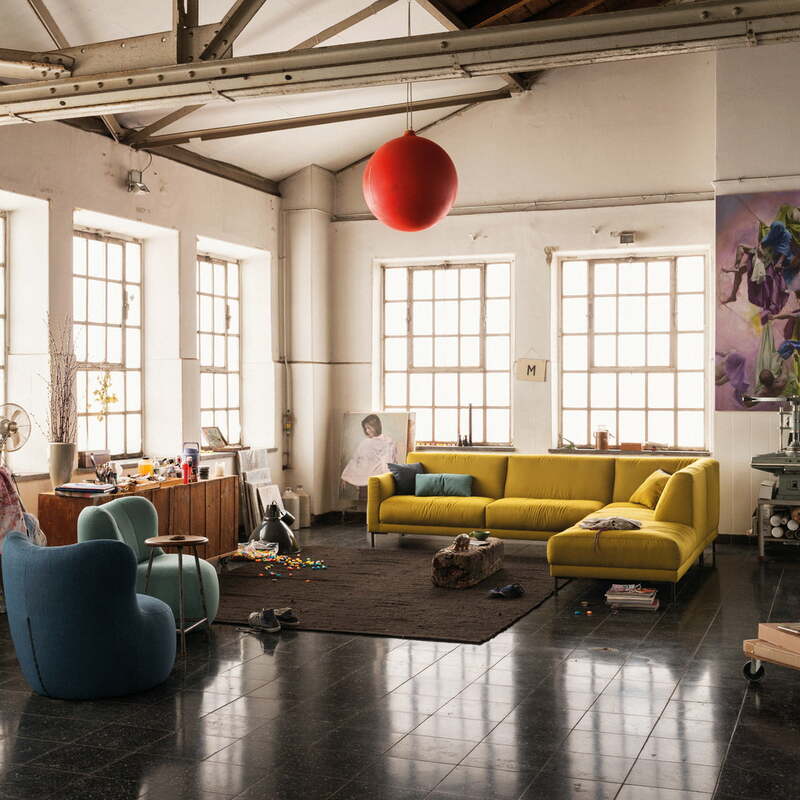 The sofa consists of a wooden inner frame and a seat and back padding in polyurethane foam. Covers are available in leather or fabric of various colours, so that the sofa can be adapted to different environments. 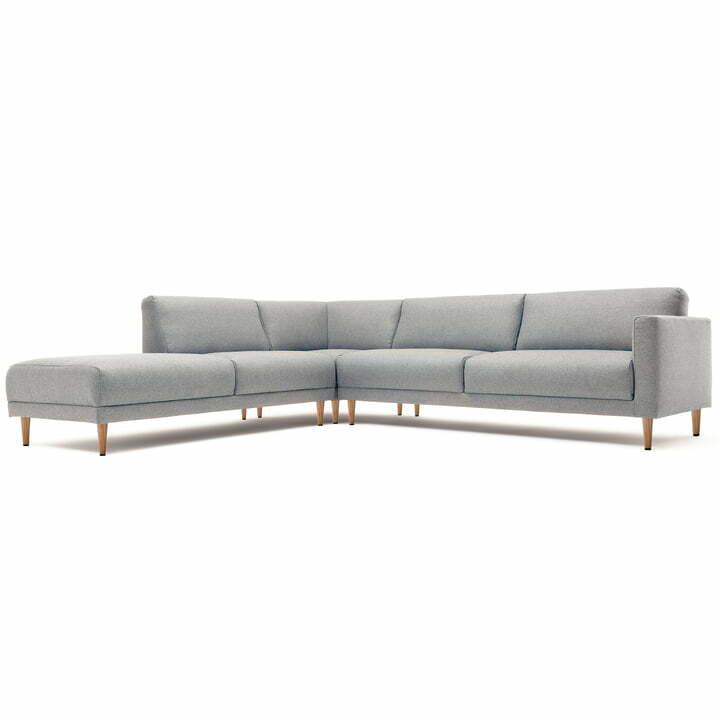 Isolated product image of the 141 sofa composition by freistil: The sofa is made from a wooden inner frame and a seat and back padding in polyurethane foam. 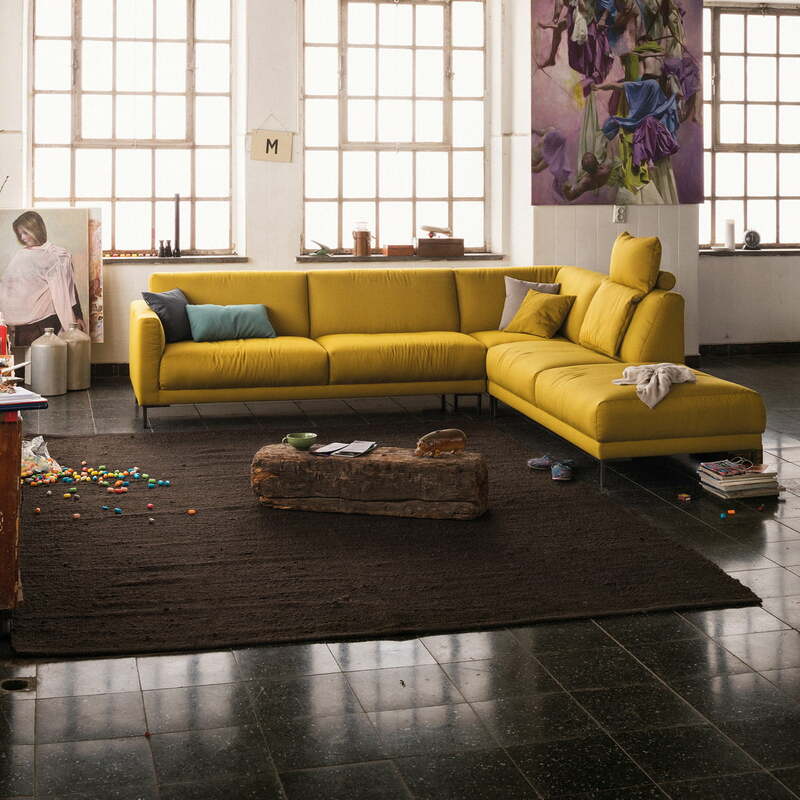 Lifestyle product image of the 141 sofa composition by freistil: Design your sofa just the way you want it thanks to the freely combinable modules from the 141 sofa series. The 141 series consists of timeless and simple sofa components that can be combined in a versatile way and fit in seamlessly into various environments thanks its countless combination possibilities.